A home is where a family feels the safest. It is where a family eats, sleeps and plays. But if a home is infested with pests, it will cease to be the safe haven where a family goes to relax and retire for the day. What’s worse is that it can cause health and even safety risks to the family living in it. As one of the leading pest control companies in Australia, we offer various services to rid homes of pests, providing your family with a comfortable and sheltered area to live in. Rodents can gnaw on doors and walls in an attempt to break in or access another part of the house that offers food. They can even chew through your home’s screenings and, in some cases, break through thin glass. All these will cause you financial damages and can even be detrimental to the safety of your family. With the right pest management solutions, we can help eradicate this problem for you. Pests cause various health risks to the family living in the infested house. 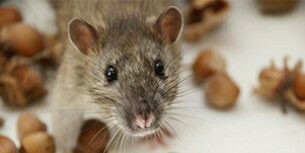 For families living with mice and rodents, you risk getting rabies in an event that you get bitten or even scratched. Droppings also cause allergic reactions and diseases. 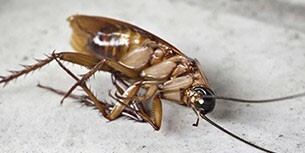 These pests, like cockroaches and ants, can even be carriers of hazardous bacteria, including E coli and Salmonella, which can contaminate food and kitchen equipment. With our reliable pest control in Blue Mountains, Sydney and other parts of Australia, all these can be avoided. 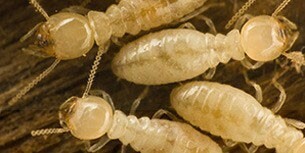 Termites have an ability to damage your home or office. Although at the initial stage you may not have an obvious sign of infestation, it is best to get treatment right away. If you are too late, the damage may cause you a lot. Plus, it risks the safety of your family as structurally unsound buildings can cause serious accidents. When you have your house treated of termites, you ensure that your home structure is in quality condition. Pioneer Pest Control offers exceptional pest management solutions using advanced technologies and modern treatment methods to ensure every home is protected from rodents, ants, termites and other nefarious creatures. Contact us now to know more about our reliable treatment plans and solutions for pest control in Western Sydney, Parramatta, Penrith and Blue Mountains. We also offer termite inspection in Sydney and other areas.